Memphis is a city that I believe is truly on the rise. I don’t say this simply because the Bluff City is my hometown. Some great things are truly taking place in the city. For starters, there has been and continues to be a lot of renewal and renovation – from downtown to midtown to crosstown to Binghampton, the city is in a bit of a renaissance. Not only that, but CNN (#10) and WalletHub (#7) rank Memphis as one of the top 10 cities in the U.S. to start a business. Nobody would have thought this could become reality some 25 years ago. And don’t get me started on the the opportunities that exist in this city through music, education, and sports. Matter of fact, I believe if this city is going to continue to find not just stability, but proven success, health, and growth, much of it will need to be connected to the areas of music, education, and sports. There are others. But these 3 have a proven track record for success in this city. In all, there’s lots of good stuff on the horizon! That wasn’t always the story. When I was a little lad, my family, along with most white, middle-class families, started to move out of the city, heading to the suburbs and rural areas either eastward (Cordova, Germantown, etc) or southward (DeSoto County). It was known as the “white flight.” Memphis was not the only city privy to such a move. Because of this, a massive economic, educational, and social hole was left in the city. Even more, an attitude was developed by the middle and upper-middle class folk now based in the suburbs, an attitude of looking down upon those in the city. Those in the city, who were they? The majority were low-income, low-education African-Americans, though there were whites that fell into these categories as well. It was a major shift the city could not handle. And for some 20 years or so an implosion took place. On the flip side, with this move, malls and shops and restaurants and churches of all sorts were built in these newly developed suburban areas, all in order to cater to the new community that was setting up life outside the city. Despair and decay began to take over in the city; prosperity and success outside the city. I suppose the flight was all done in the name of better opportunities. Less crime, better schools, luxury living, new businesses, etc. We could argue til the cows come home on this, but one can’t deny the effect this had on the city of Memphis. Yet, whispers of renewal began to arise some 15 years ago. Investors started investing in the renovation of downtown and midtown. New restaurants, new apartments on the river, a new baseball stadium, a new NBA team with NBA arena, new shops and stores of culture rather than mega-chains, a renovated zoo that’s now one of the tops in the U.S., a newly named Levitt Shell venue in Overton Park, a new green line running east to west across the city, and much more. People fell in love with South Main, Overton Square, Cooper-Young, Vollentine Evergreen, Central Gardens, and they will soon fall in love with Crosstown knowing the renovation of the old Sears Crosstown Building is currently taking place. Not only that, but tons and tons of Gen-Xer’s and Millennials have flocked back in to the city. Even if they had grown up in Cordova, Bartlett, Germantown, or Collierville, it was now time to relocate back in to the beloved city limits of Memphis. Others started arriving in Memphis for new businesses and opportunities. A whole organization and campaign was launched to champion this city rising from the ash heap – Choose901 (901 being the area code for Memphis, and further afield). 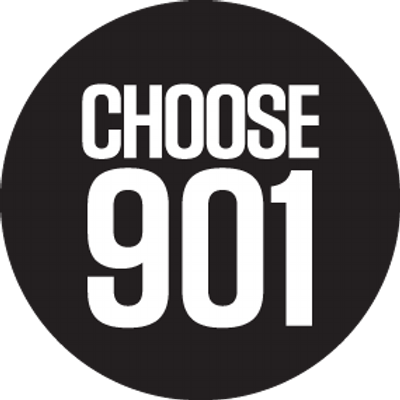 As stated on their website, “Choose901 is a movement of passionate Memphians who want to invest and enjoy their lives in the Bluff City.” You might see the #Choose901 statement floating around social media these days. I love it. I love this city. There’s much that probably still needs to happen, no doubt. But so much has happened and I would have never imagined my city, Memphis, becoming what it has become in the 21st century. Here’s the solution before getting into the problem a little more. All of Memphis is Memphis. Every single square inch of it is – from Hickory Hill to North Memphis to downtown to Graham Heights to East Memphis to the Pinch District to Colonial Acres to Orange Mound to Southwind. Every single neighborhood. Even parts of Cordova now! But here’s the thing. Plenty of folk think that, because they wear certain garb, drink certain beers, eat at certain restaurants, visit certain coffee shops, and have houses in certain neighborhoods, that makes them real Memphians living in the real Memphis. Real local Memphians in the real local Memphis (interesting to ponder what percentage are transplants to Memphis from other cities and towns). Downtown is better than East Memphis, right? And so, a new attitude has formed. Whereas, a few decades ago, those who joined the white flight might have looked down upon and ostracized those dwelling in the city, a very similar trend has arisen from the Gen-Xer’s and Millennials now located in the city. This new group of city dwellers have now turned their noses up at those outside their urban city context. I saw this coming up in my heart and mind not too long ago. So I know, oh, so very well. The ostracization has begun all over again, just in reverse order. And you know the most terrible thing about it all. I see this attitude rearing its head in the church of urban Memphis. Many in the urban church are convinced they are making Memphis better, or at least the true Memphis better. Skinny jeans, plaid shirts, thick-rimmed glasses, craft beer, organic food, large beards, Vollentine-Evergreen, Central Gardens, Overton Square, Levitt Shell, Bosco’s, Local, Lafayette’s, Trolley Stop Market, Aldo’s, South of Beale, and more. This is true Memphis and these folk make their abode in true Memphis. This city is on the rise because of the midtown and downtown urban dwellers! Don’t get me wrong. I love midtown. I live there, my wife works in the area, my children go to school in the area. I work in downtown Memphis, which I love as well. And I even type these words while sitting in a coffee shop in the Cooper-Young area. But here’s where I believe we need to land – All of Memphis is Memphis! Every single square inch of it. Props to my friend for creating this “custom” bumper sticker here! And if you don’t like the fact that every square inch of Memphis is Memphis, then I’d like to offer that you don’t truly understand Memphis. I can like certain clothing styles, food choices, decor, and neighborhoods. We each have our preferences. But I’m looking to see myself stretched into appreciating the full gamut of Memphis culture. I believe that’s truly needed in Memphis. I work at a music school. We teach our students to not simply appreciate their preferred style of music – whether rock, jazz, R & B, or whatever. They need to appreciate everything – from Bach to the Beatles to the Beastie Boys to Bruno Mars. All of these fall into the “area code” of music. Different genres, but all music. Different neighborhoods, but all Memphis. That’s why the Choose901 campaign is interesting. It’s not ChooseMidtown or ChooseDowntown or ChooseUrbanMemphis. It’s Choose901. And that stretches even beyond the borders of the city limits of Memphis. Midtown is Memphis, yes. But so is Berclair, Highpoint Terrace, Frayser, Westwood, Whitehaven Riverdale, the Edge District, and a whole host of other neighborhoods – the approximately 90 neighborhoods in this one city. But as long as we continue to build towards our cultural divisions and territorial border separations, especially within the church itself, we won’t be able to see this city flourish in the fullest sense. It will suffer at a deeper level beyond what we think are the 5 best coffee shops or restaurants this city has to offer. We might end up in a worse situation than we were some 30 or more years ago. All of Memphis is Memphis. This entry was tagged life, Memphis. Bookmark the permalink. The phrase “Midtown is Memphis” originated long before the author suggests. Long before the Overton Square renewal, before visions of Crosstown and before the new condos on the river. It came as a response to those who were fleeing the center of the city. It came as a call for Memphians to resist the white flight and stay in the heart of Memphis. (Remember, white fight once also referred to those fleeing Midtown and Downtown to opt for the majority white East Memphis instead.) 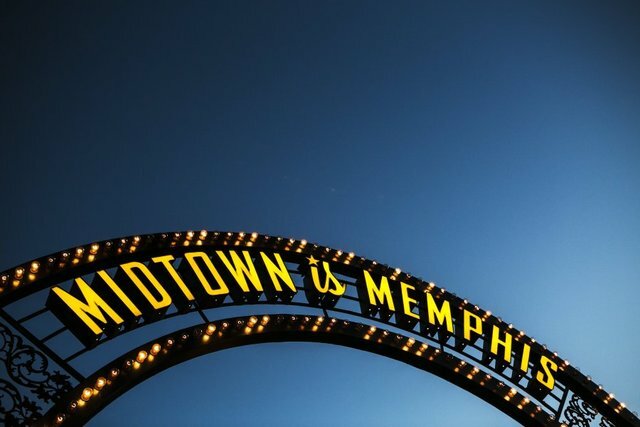 It is important to remember the context of this phrase and what it represents: “Midtown is Memphis” did not get its start on the lighted sign of Overton Square. Before the renewal that brought the NBA franchise and the renovated Levitt Shell (during a time thay the author seems to suggest was a sort of dark age of Memphis when no one wanted live in the city) there was, in fact, a movement to keep people in the heart of the city—to keep people from joining the flee. There were people dedicated to celebrating the heart of the city instead of fleeing, and those of us that were here remember a different Midtown and a different Memphis. “Midtown is Memphis” was a response to the suburbanite snobbery, not a recently coined form of urbanite snobbery. Thanks for sharing the history about the phrase. I think we still need to guard against using that phrase in any dividing way – then and today. 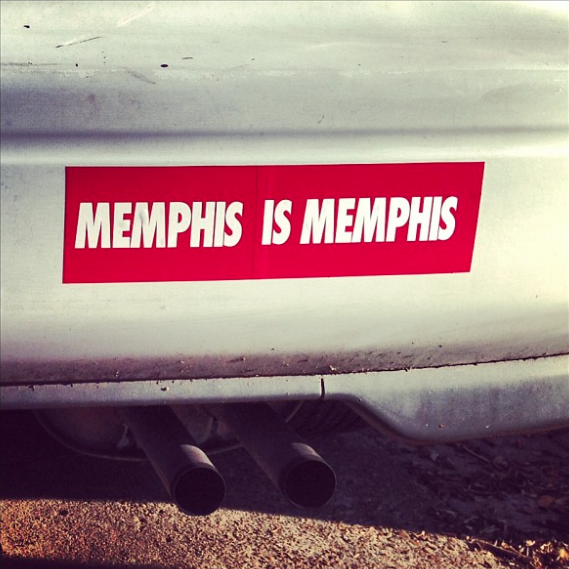 I know today it’s used in a way to claim what is the best part of Memphis. That’s what we don’t need or want. I’m late to the page, but I appreciate your thoughtful article. Until Memphians get it into our collective heads that we are all in this together we will continue to struggle. Snobbery (just one more form of prejudice) builds walls of division.